I work on some friends bikes. Doesnt matter how many times I try ...............................the bike always returns with the same bad habits in place. start charging real rates not mates rates, and charge them for cleaning time. That might get them the message. 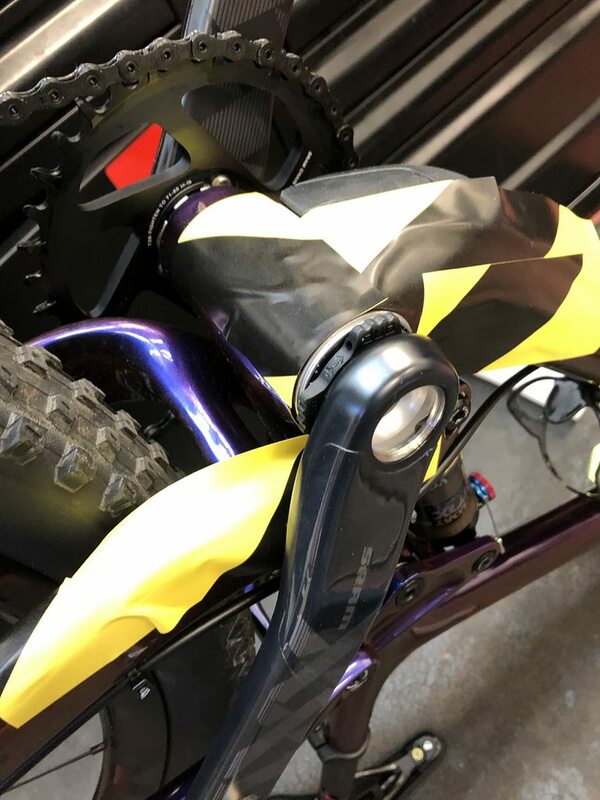 I work on some friends bike on the side as a shade tree mechanic and my OCD goes crazy every time I deal with their bikes. 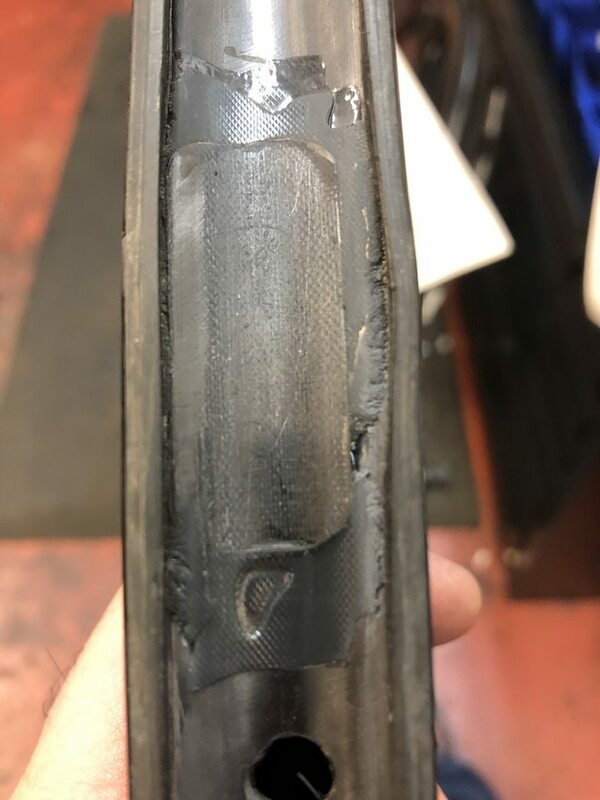 Doesnt matter how many times I try to drill things into their heads the bike always returns with the same bad habits in place. I think I would get "really busy" very quickly. Wow CX, it's been over a month since you posted an example here. I guess the rainy season is there in NoCal now and people aren't bringing bikes in much? A variety of things, but now that it's slowing down a bit, here's something. 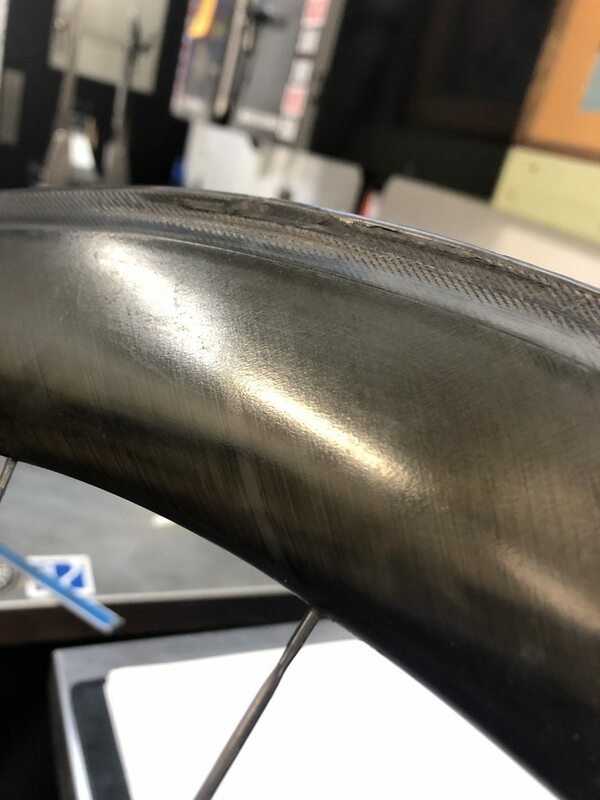 Don't drag your brakes down big hills w/ carbon clinchers. Still a thing I guess. Don't drag your brakes folks. Especially the rear, it doesn't really slow you down at all and just wrecks ****. My last MonsterCross ride I stopped 1/2 the way through to tighten my front disks up (mech), and the pads were GONE! That DA mechanic! ....me! 1) I don't drag my brakes. 2) I don't use carbon rims. Race tires, carbon rims! Disc brakes! Stop that bike on a dime! Whoops! Don't drag your brakes folks. Since I don't have a tandem with a drag brake, I don't. Some people consider what controls do (shift and brake), some consider HOW they do them (friction, forcing a chain into metal from the side). I'm guessing your customer will move from the first group to the second, at least for brakes. Why do people want to convert others to their chain lube regiment? Its like chain lube Jehovah Witnesses. Exactly. That's why I keep telling people... forget the homebrew, forget all those fancy new chain lubes. Get ProLink, the one and only Best Chain Lube. ProLink... It's got what chains crave. Here's one for you mountain bike guys w/ old Reverbs. 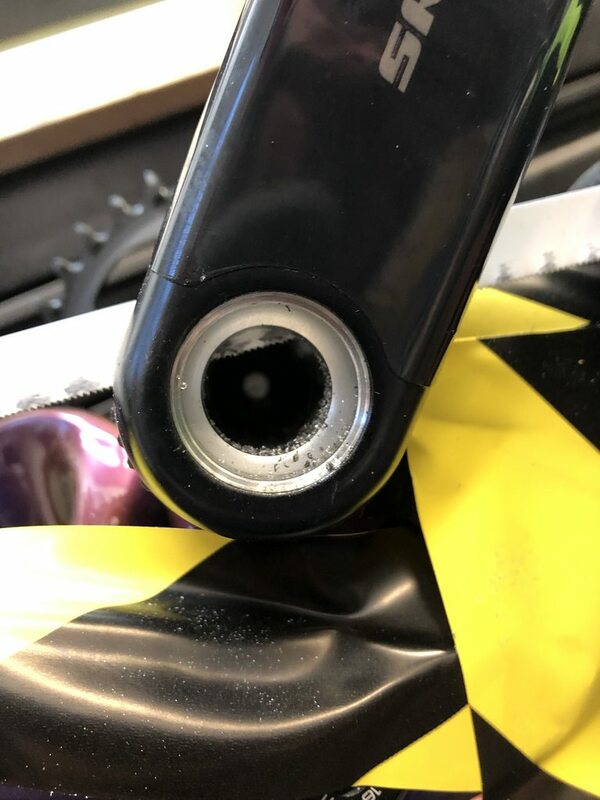 Don't strap your saddle bag to the upper part of the post then wonder why it won't work anymore. I didn't get this one at first. 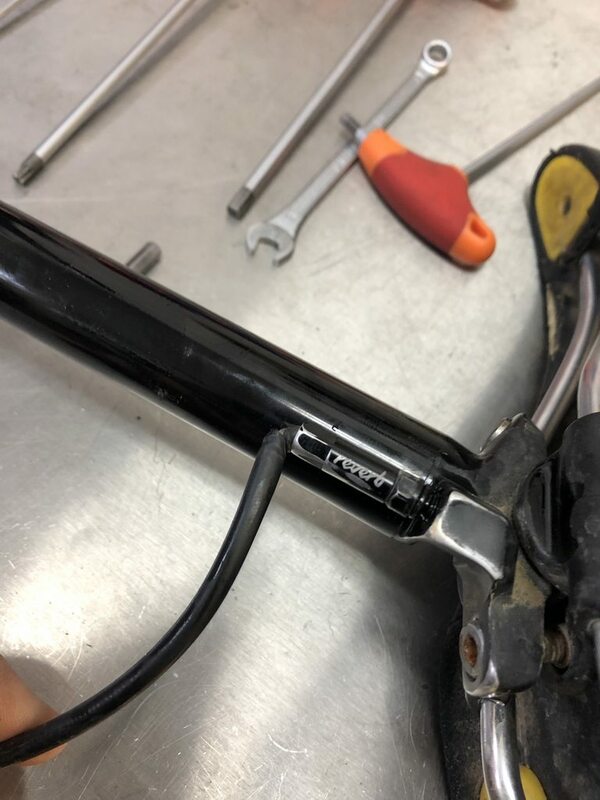 Then I realized it's a dropper seatpost. 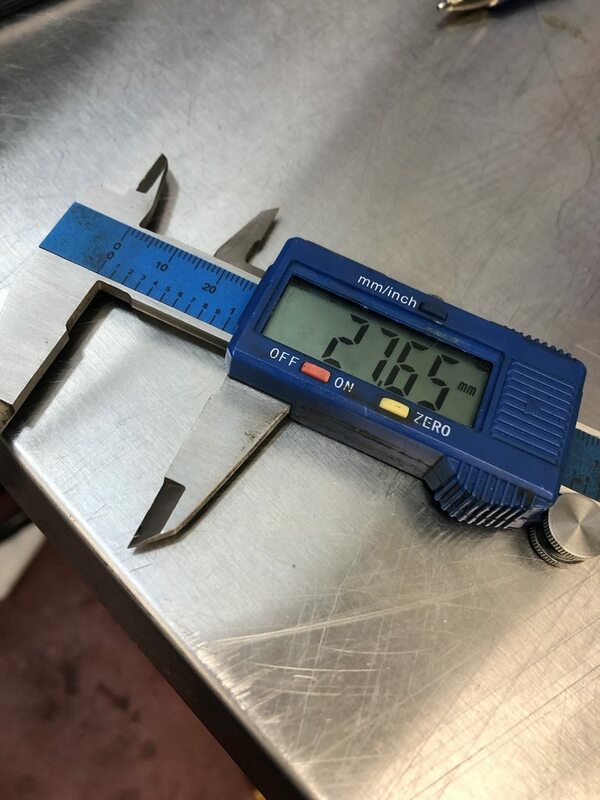 If you have $pendy carbon parts I implore you to get and use a torque wrench. 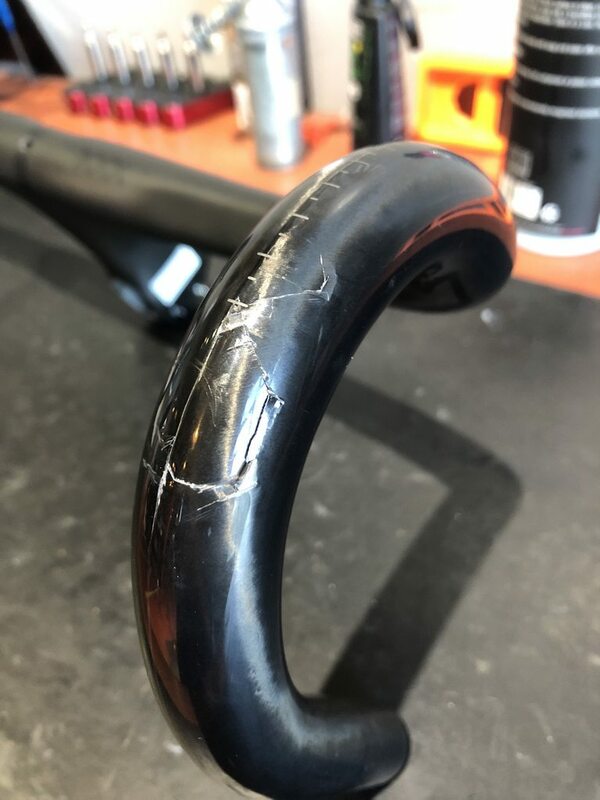 Pretty much always gonna be less expensive than ruining a $600.00 carbon bar/stem. That would have been a bad crash had that bar failed. Man'splain to me how a torque wrench would not cause a failure in that handbar bend? 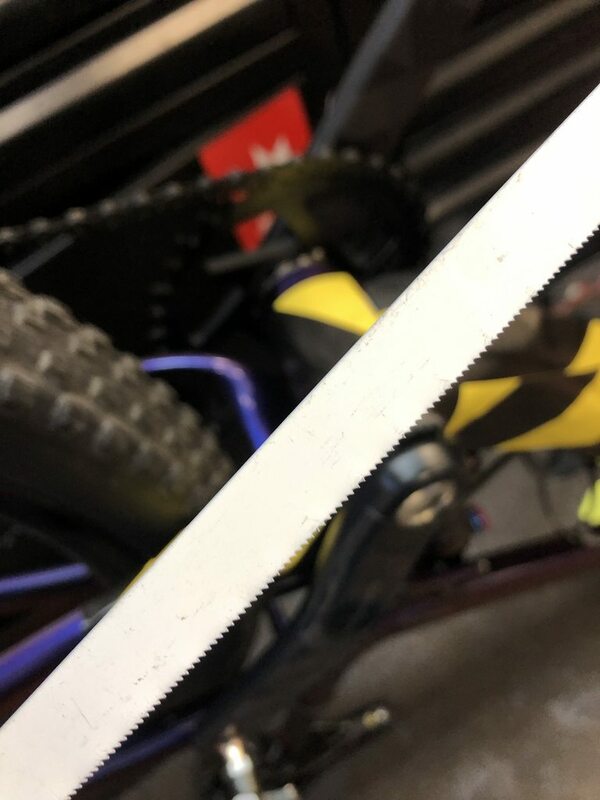 This was on a brand new bike out of the box. Trek's new boxes nearly eliminate shipping damage of the normal type. Obviously if you run over the box w/ a forklift the bike is toast, but normal dropping/banging around won't do much to a bike if it's in one of these, and there was no damage to the outside of the box. That leaves over-tightening the clamp. In this case the levers were low on the drops but over-tightened is over-tightened. Last edited by cxwrench; 12-27-2018 at 07:55 AM. Maybe he was watching one of those You Tube videos where some hamfisted mechanic was leaning on bolts so hard, the bike stand would almost fall. Yea, and were u using your torque wrench? hu uh? Put some anti oxidation compound on those bolts when you put them back on. That was tring to get the crank OFF, and I didn't install it. Prep: Use caution tape when performing dangerous jobs. 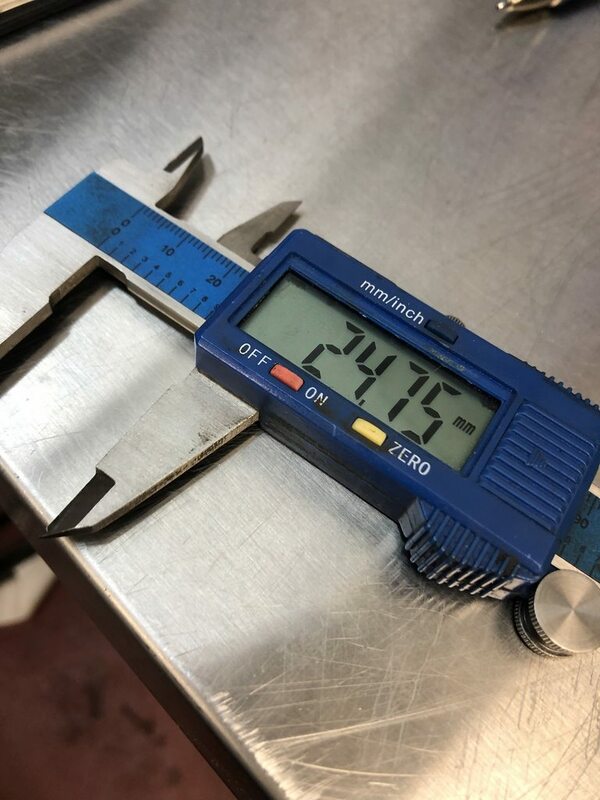 Always use new, sharp tools. Last edited by cxwrench; 01-02-2019 at 05:18 PM. Jeebus. You had to destroy a crank...right out of the box?? WTF? This is your second Trek boxing flaw in what--a month? Yeah, but this is more SRAM's problem than Trek's. I spoke to one of their CS reps earlier and they know about the problem. 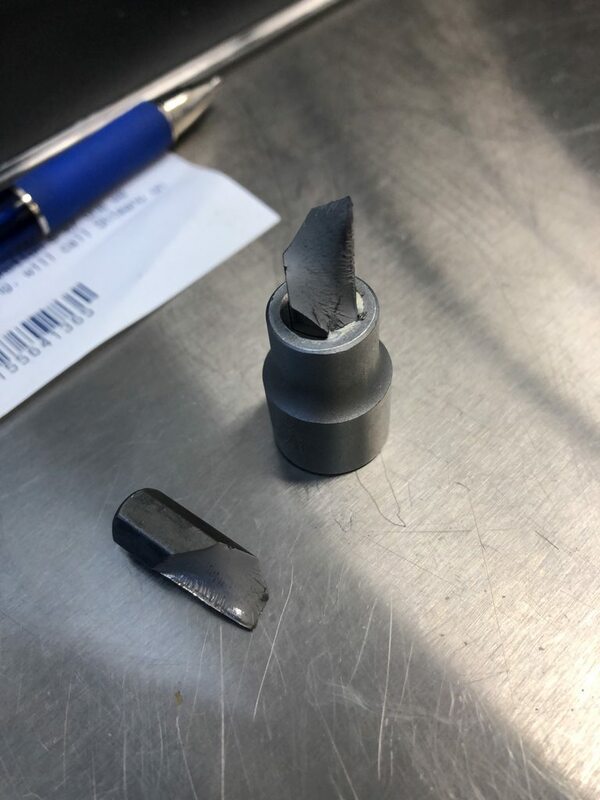 They've come up w/ a new bolt or maybe they're just putting anti-seize on them instead of thread locker. I'm fairly sure that Trek's builders are using torque wrenches, I've seen them build bikes. I've had many problems in the past w/ the alloy bolts galling in alloy axles so it's nothing new. 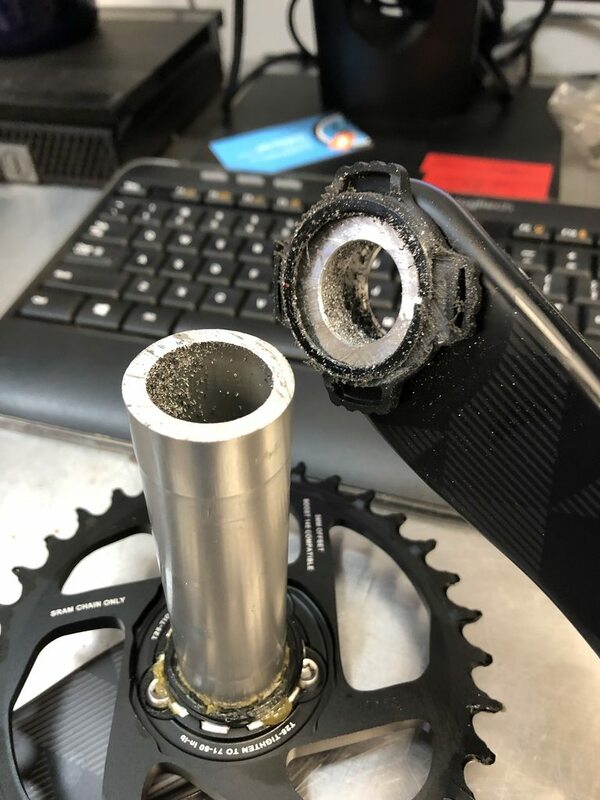 SRAM will replace the crank so it's not a big deal. I'll buy a stronger 8mm bit. I'm a bit confused, but why would using anti-seize be a problem? I think that he's saying that they may be using anti-seize instead of thread locker now. ^This^ They have been using thread locker and have switched to some typed of anti-seize coating. We'll see how it works. Is it a scam? check here for typical examples. "I'll take 'Examples of Successful Torture' for $200, Alex..."
Some examples of short-reach handlebars?